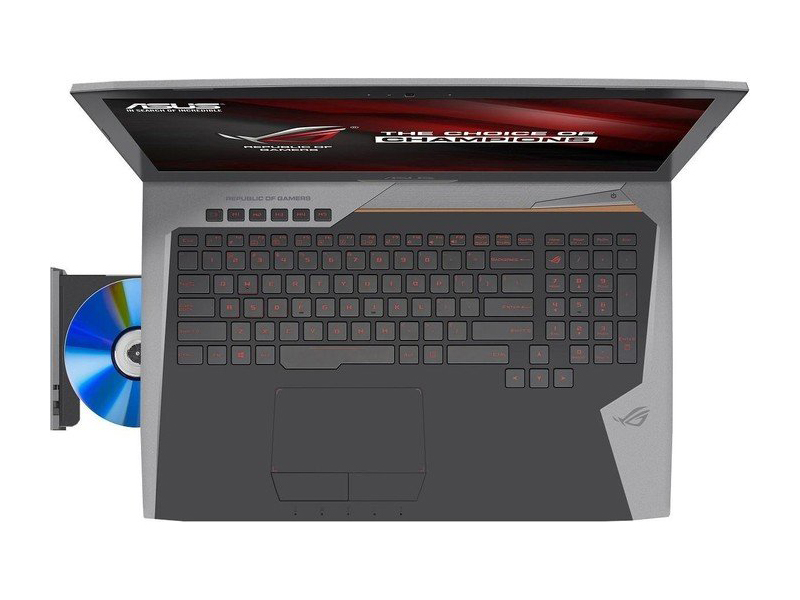 The Asus G752 Series consists of fully customizable, stylish looking, high-performance gaming laptops. Modern in design, the devices come in a beautiful Armor titanium color and brushed metal finish highlighted with plasma copper accents. 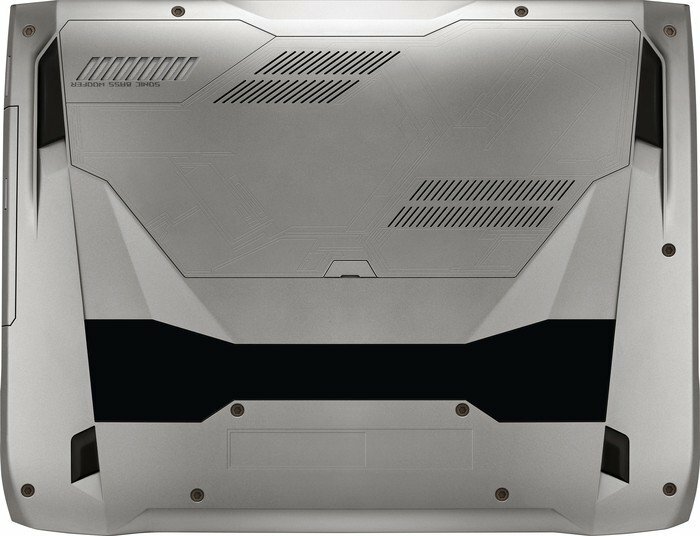 The lid sports the ROG emblem and there is a dust-release thermal fan on the rear. The backlit, anti-ghosting keyboard is responsive and ergonomic. 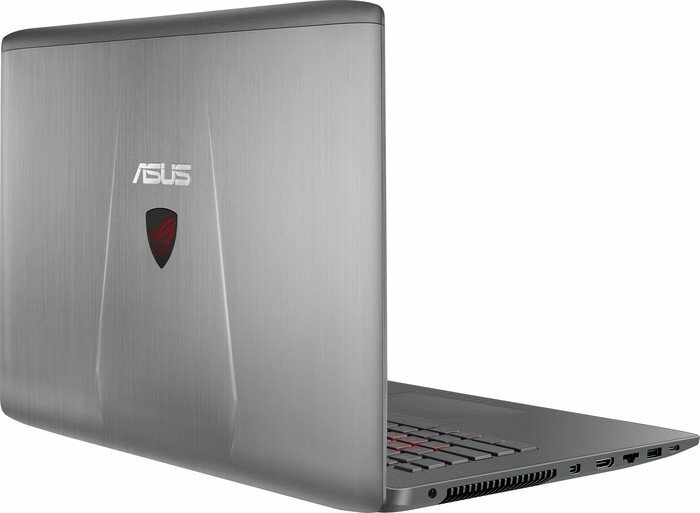 The Asus G752 Series models can be configured with various 6th generation Intel Core i7 processors, up to 64 GB of DDR4 RAM and anywhere from a NVIDIA Geforce GTX956 up to a GTX980 GPU with dedicated VRAM ranging from 2 GB DDR5 to 8 GB DDR5. You can choose from several storage setups ranging from HDD to HDD + SSD combinations with total capacity from 1 TB up to 1.5 GB. Display on the Windows 10 system is a 17.3 inch FHD IPS display panel with 1920 x 1080 resolution and G-Sync capability. The matte display delivers beautifully vivid colors and perfect contrast levels. Together with solid audio by Sonic Studio, this gives a complete multimedia package. 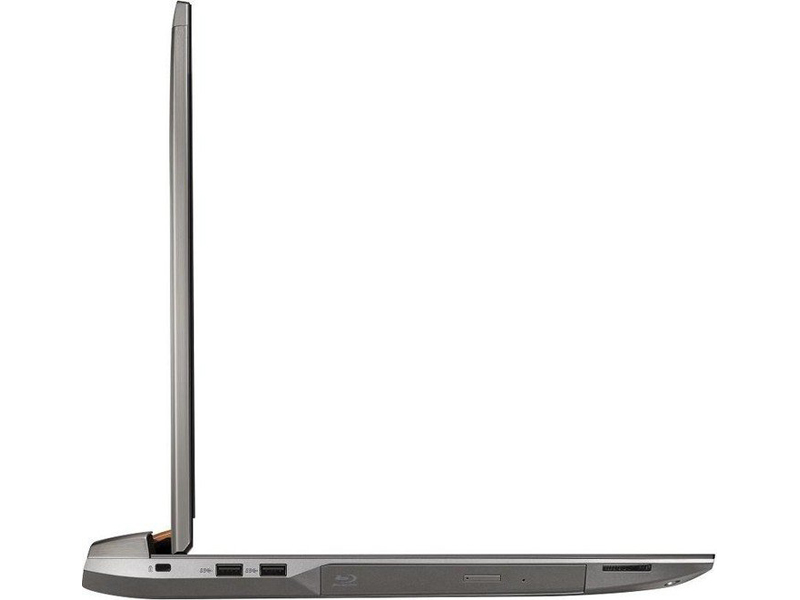 Other features on the Asus G752 Series are Bluetooth 4.0, a 1.2 MP HD webcam, a DL DVD drive, a card reader, a USB 3.1 Type-C port, four USB 3.0 ports and an HDMI out. Battery life on the device is provided by a 6-cell Li-Ion pack rated at 66 Wh. This powerhouse computer was recently released by ASUS for one reason: to do whatever you ask of it. This laptop is full of features that make up a proper gaming laptop. 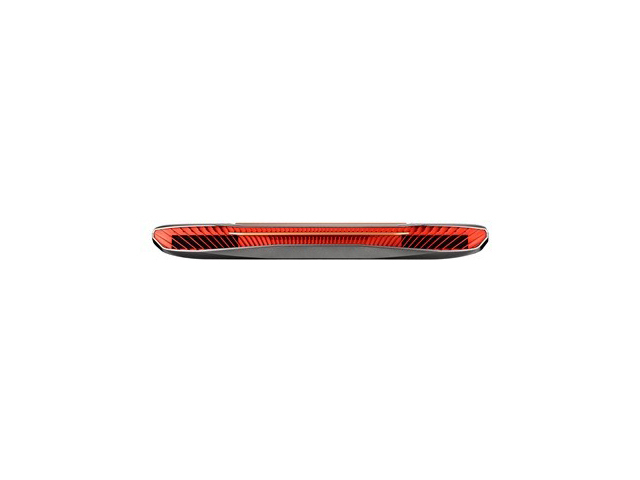 The 17-inch screen is super bright and enwrapped a beautiful titanium and plasma colored, armored finishing. 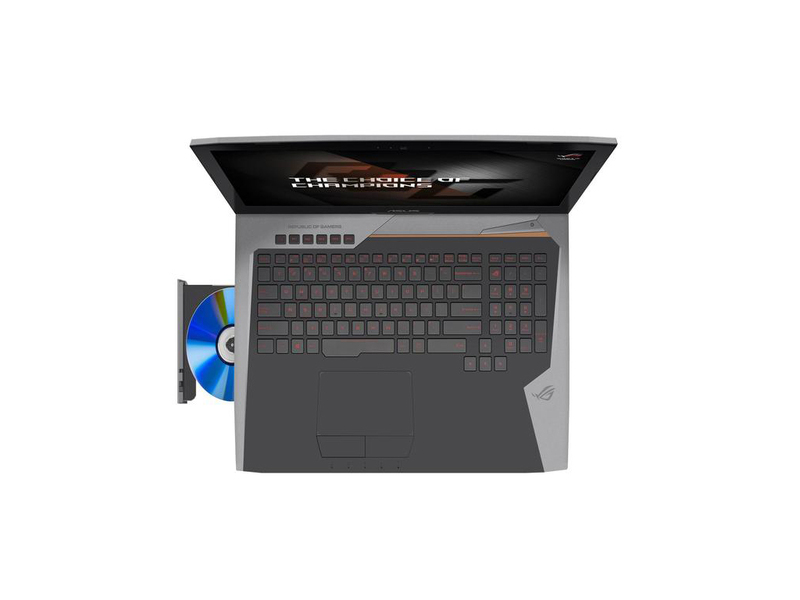 Moreover, the laptop features 1 TB of space and 16 GB of RAM along with an Intel Core i7 It comes with the top of the line graphics card made by NVIDIA and Windows 10 to play any computer game ever made. This laptop is also the first laptop to have a full 30 key anti-ghosting keyboard, which means you can press all 30 keys and the computer will recognize all 30 keys at the same time. As a result, the response time will be shorter in games, which is a big deal in key-controlled games such as Call of Duty or DOTA2. The ROG gaming center offers a wealth of system information, including CPU and GPU frequencies and temperatures, and allows for adjusting some display and audio settings and controlling the system lights and the XSplit Gamecaster lets you easily stream and record your greatest gaming moments at the click of a button. The speakers provide great sound with the new Sonic Suite, which also helps pick up footsteps and gunshots in games in those crucial moments. All in all, the G752VT is one of the best gaming computers. The all-new Republic of Gamer (ROG) G752 is landed and ready to the next transformation of mobile gaming. It features a revolutionary design finished in a brand new Armour Titanium and Plasma Copper color scheme. The computer comes with a 6th generation i7 (Skylake) for smoother and faster performance for demanding tasks. The newly invented Vapor Chamber cooling and the backlit anti-ghosting gaming keyboard with 30-key rollover play a main role for ensuring smoother gaming. The 17.3 inch matte IPS FHD display delivers bright, high-definition images. The NVIDIA GeForce GTX 970M graphics card allows running games at highest settings. Furthermore, a lifetime XSplit Gamecaster account has been generated especially for G752 users for recording or streaming games. The ergonomically-designed keys with a key travel of 2.5 mm are responsive during typing and entering commands. The Asus ROG G752VT-DH72 is a big, powerful gaming laptop that's priced well relative to its features and performance. It's not the fastest system in the category, but it's affordable and lets you plays demanding games smoothly. 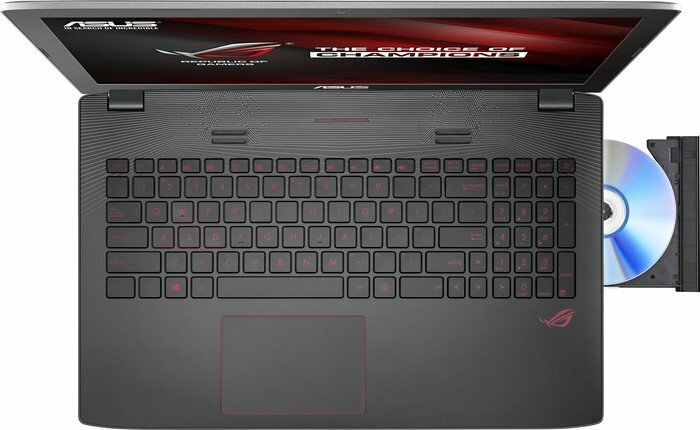 The Asus RoG G752VT is two steps forward, but a half-step back, relative to the outgoing model. The updated design is one of the most intricate we’ve seen. Its finned back edge looks like a classified weapon, especially with the LED strip inside. It would fit right into a futuristic sci-fi flick or an Area-51 expose. 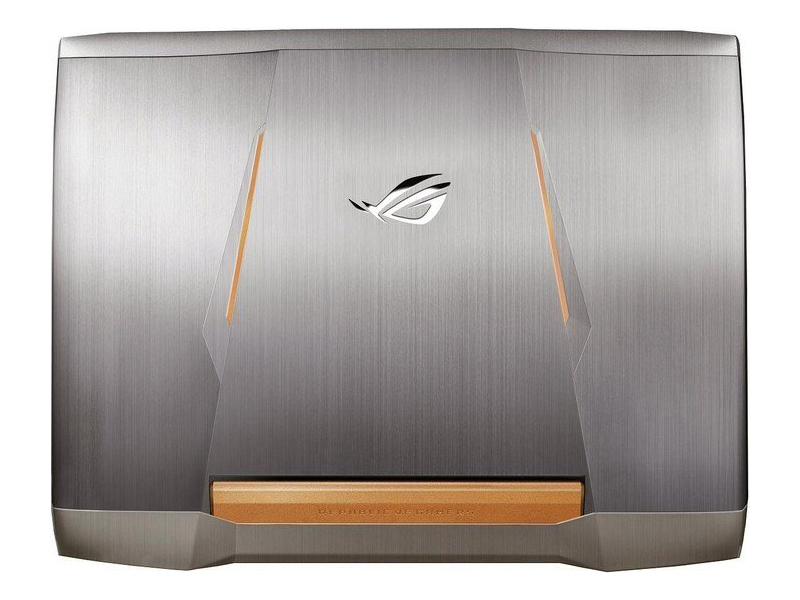 Asus has become a brand of choice for many gamers, and deservedly so. 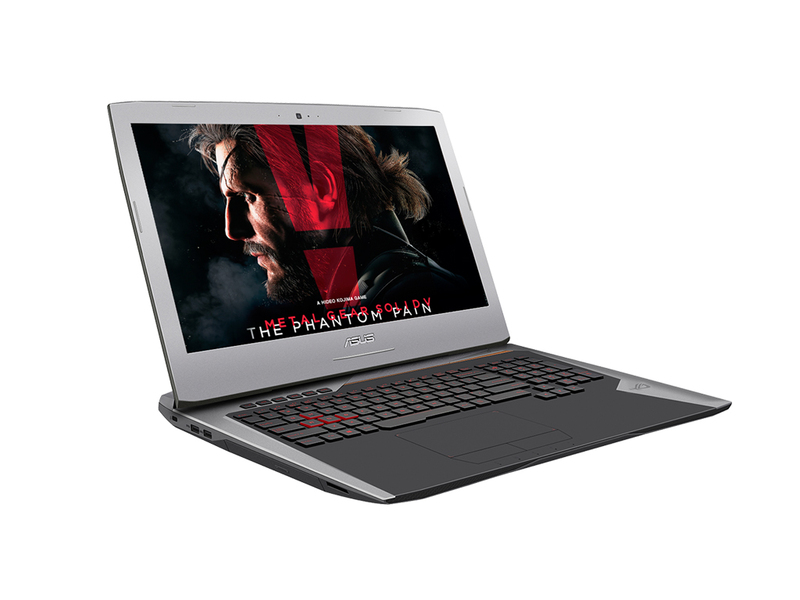 The ROG G752 is a truly fantastic laptop in many regards: it's got more than enough power to run even the latest titles at the highest settings, it runs cool and quiet and it has a plethora of connections and multimedia features to ably replace your desktop. Bottom line? Any Sith Lord would be proud to carry this weapon into battle, with its aggressive lines, red/orange accents, and powerful weaponry. Despite the flashy looks, the notebook doesn’t attract any unwanted attention, slashing apart foes while hardly breaking a sweat. Yes, the force is strong with this one. There are gaming laptops that offer more features, slimmer designs, or more graphics power, but Asus has managed to find something close to the sweet spot in this mid-priced (for a gaming laptop) version of the G752. The design is less overpowering than last year's model, performance is fine for the games of today or tomorrow, and adding G-Sync is a valuable extra that really makes a difference in the handful of systems we've used it in. ASUS decided to change things up a bit with its newest generation ROG G-Sync laptops, both on the inside and out. Starting with the exterior, ASUS refreshed the design of its gaming laptop lineup with a new brushed copper color scheme and additional LED lighting on the lid. Orange accents round out the look, and whether the design is a visual upgrade over its predecessor is something to be determined by the eye of the beholder. The Asus G752 asks a lot from gamers in terms of both its hulking design and premium price, but it has a lot to give in return. The notebook's GTX 970M graphics, speedy 6th-gen Core i7 processor and G-Sync capabilities combine to provide an excellent gaming experience. The G752's macro keys and software suite add plenty of options for customizing your playstyle and recording gameplay, and its vibrant 1080p display makes games look great. The Asus G752 is the most dramatic design revision we’ve seen from the company’s gaming division in the last five years, and the results are mixed. The new silver-and-bronze scheme is unique, and will likely serve the company well in the future. Execution is the problem. 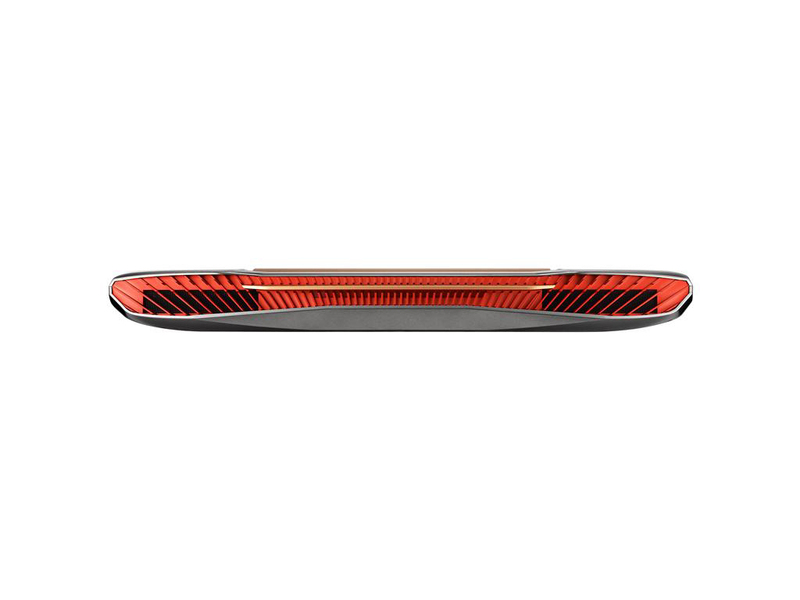 Large panel gaps and out-of-place design elements, like the red (rather than orange) keyboard backlight, hold the G752 back from brilliance. 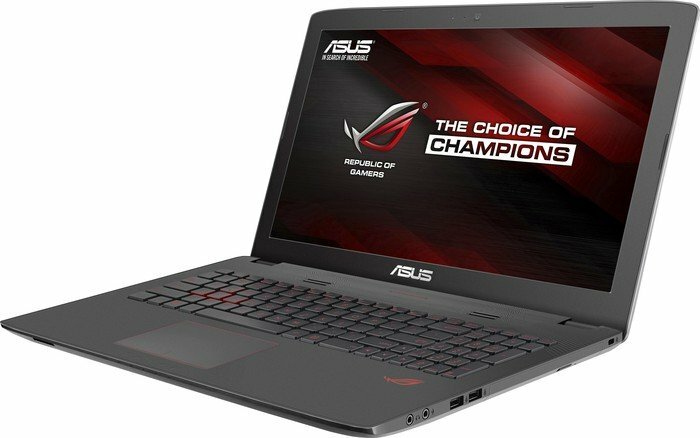 Asus ROG G752 – Давай Сыграем В Игру? Positive: Stylish stable design; very good IPS display; good hardware. Negative: Short battery life. This model is among one of the best gaming notebooks in the market. The material used in the build of this notebook leads to a rather less rigid and solid feel. Replacing some of the parts with aluminum elements will help to elevate the rigid feel and other parts including lid and keyboard tray need to be more solid. Most of the ports are incorporated on the right side of the chassis making it a bit overcrowded. However, both the user input devices, the keypad and the touchpad offer good usability and user experience. The graphic card is a fast high end graphic card based on the Maxwell GM204 chip from the GeForce GTX 980M series, which is able to play the latest and most demanding games in high resolution and full detail settings with enabled anti aliasing. The display is a 17.3-inch IPS panel with ultra-sharp Full HD resolution and LED backlight. It allows viewing from a wide angle without distortion or glare. The CPU is an 6th generation Intel Core i7-6700HQ with four cores and four virtual cores (SMT) and Turbo Boost technology for maximum mobile enjoyment. Video editing, photo editing, or CAD applications also benefit from this fast quad core processor. The sound system consists of two specially designed speakers, integrated subwoofer, and the ROG SonicMaster audio technology for an impressive 2.1 sound experience. Standard accessories are Bluetooth 4.0, an SD card reader, 1x USB 3.1, 4x USB 3.0, and an HD webcam. If you're looking for a big, powerful laptop then the G752 is an easy recommendation. If you're in the market for a laptop of this size then there's no point in convincing you to go smaller, just be prepared for the sheer mass of this thing. But for a fairly good price you're getting a whole lot of laptop. 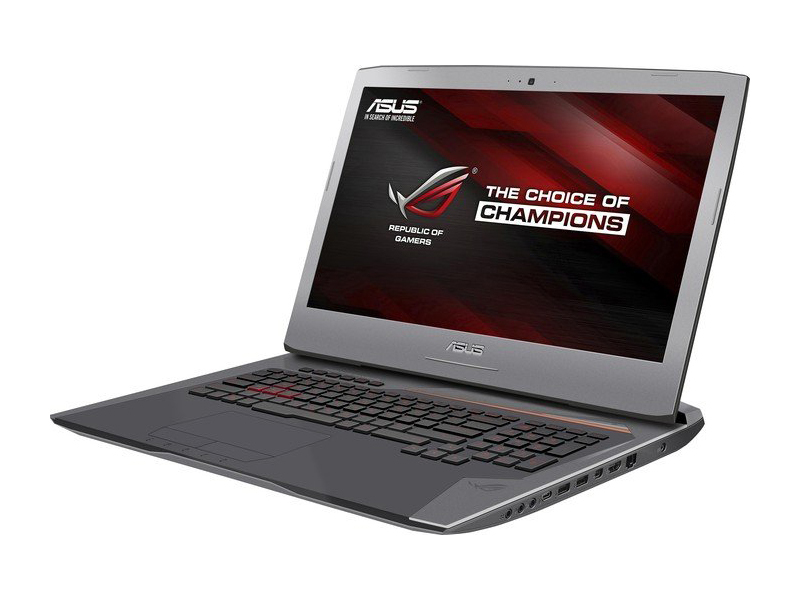 The Asus ROG G752VY is a big and bulky laptop but is very powerful and offers one of the best gaming performance for its price. It comes with features like a G-Sync display as well as Vapour chamber cooling which further enhances the gaming prowess of this laptop, thus making it the best gaming laptop under 2 lakh rupees. 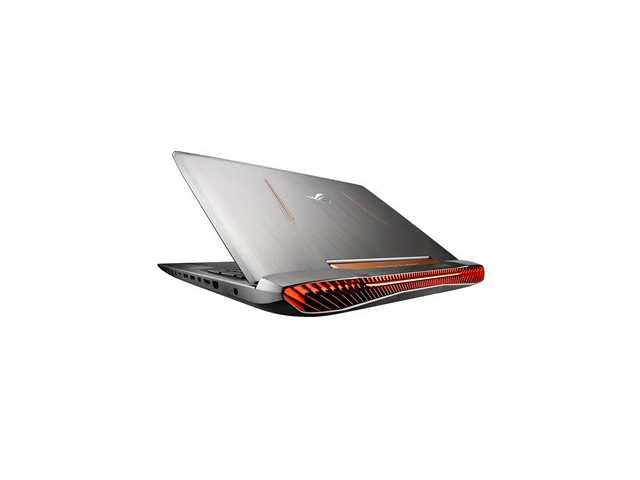 The Asus ROG G752VY will set you back by Rs. 1,79,990, which is to be expected from a premium gaming laptop. At this price you get fantastic gaming performance, a superbly designed chassis, a large display, and good headroom for upgrading some of the components. Asus's software suite is also very well designed and functional. However, there are a few things we wish were better like the speakers for instance, which sound underwhelming for a 2.1 setup. What can I say really. The G752VY is a good gaming laptop. It delivers the GTX 980M 3D performance and has lots of nice features and qualities – very good keyboard, good IPS display (no PWM), good thermals, good set of connection ports and more. However, it is really big and weighs quite a lot, around 5kg with the PSU. It also costs $1900-$2000, the lowest. Positive: New stylish design; great keyboard and touchpad; little slim compared to its predecessor; excellent sound quality; quiet cooling system; great display. Negative: The majority of the ports are positioned on the right; mediocre battery life. Positive: Powerful hardware; large amount of RAM; excellent screen; efficient cooling system; good sound, stylish design; good keyboard. That said, the Gigabyte P55W v5 puts up a pretty decent fight as its main competitor, even if its gaming performance isn’t quite as fast or as smooth. Still, with a difference of around £1,000 separating the two, a slightly lower overall frame rate is definitely worth the saving in my eyes, and it just edges ahead of the G752VY as our top gaming laptop recommendation. However, if you’ve got the budget and want something to show off to your friends, the G752VY certainly won’t disappoint. The Asus RoG G752 is one of the few laptops that, even in 2016, can justify being almost 5cm thick and a monstrous 4kg. This almighty body lets it fit in everything that makes a gaming laptop great, from quiet-running fans to the fast mobile GPU money can buy right now. It’s the sort of laptop to buy if you want to play any game at max settings, and are willing to pay for the privilege. Other than the practical issues that come with a laptop of this size, the only things to worry about are the predictably poor battery life and that the design is pretty loud even by gaming laptop standards. Positive: Very good workmanship; supports NVIDIA G-Sync; easy access to the RAM and HDD / SSD; matte IPS screen with high color reproduction sRGB; perfect touchpad; powerful GeForce GTX 980m; low temperatures in comparison with the competition. Negative: Soldered processor and graphics card; expensive; poor positioned ports and connectors; mediocre battery life; no SSD; high price. Positive: Quality materials and assembly; FHD IPS-screen with wide range of brightness changes. ; phenomenal speed and responsiveness of disk drive; good connectivity; quality input devices. Negative: High price; bulky and heavy; weak speakers. The Asus ROG G752’s performance in our benchmarks was downright stellar courtesy of its quad-core Skylake processor, NVMe SSD, and the Pascal-based NVIDIA GeForce GTX 1070. The laptop blazed through every benchmark, earning top scores in nearly all of them. It obviously has the chops to handle today’s games (at high quality settings) and it’s going to be an enviable gaming laptop for some time to come. 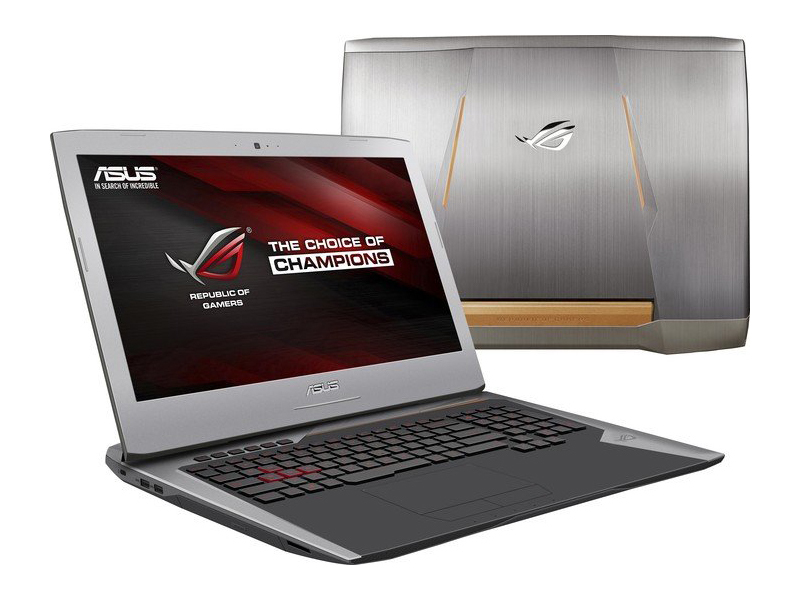 We are deeply impressed by the Asus ROG G752VS. Asus has used an impressive chassis that was employed with 9-series graphics and has performed a significant upgrade to 10-series Pascal that blows the doors off the previous model. We commented that the previous model was big and heavy and this is clearly still the case. However, when you factor in the increased performance you are less inclined to harp on about 4kg of bulk. Performance is where the G752VS succeeds. The Core i7-6820HK in my review unit was around 25% faster than the i7-6700HQ we typically see in gaming laptops, helped along by a small factory overclock. SSD performance from the 1TB RAID 0 array was spectacular as well, although this option will set you back a fair bit of cash. There’s also a ridiculous 64 GB of RAM in this model, which I wouldn’t recommend purchasing considering it provides next to no performance advantage over 16 or 32 GB of DDR4 in games. Aside from a quibble about keyboard flex and the $3,000 price, it's easy to recommend the Asus G752VS-XB78K for the dedicated gamer who can afford it. You get what you pay for, and it's hard to argue against performance that rivals what you get from gaming desktops. It's also true that there's not much competition out there—yet. In the coming months, there are sure to be less expensive and thinner laptops with the same Pascal graphics cards. And if the price tag makes you balk, it might be prudent to either wait or opt for the MSI GT62, which offers similar performance and the same graphics card for $1,000 less. If you were considering buying a laptop with a Nvidia 980 GPU, stop. Because the G752V OC offers gaming performance 10 to 15 percent better than last-gen systems for hundreds less. 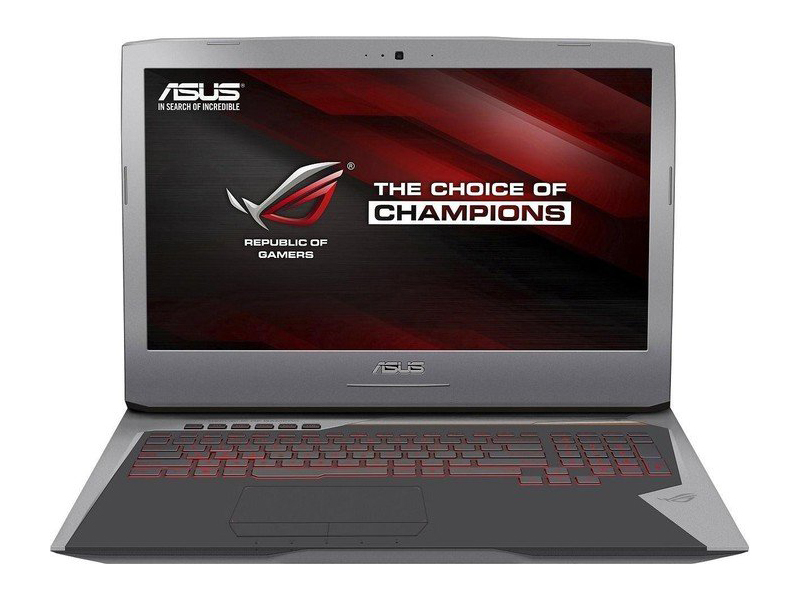 The $2,499 Asus also sports a sleek and refreshing gunmetal and copper design, a bright, 17.3-inch full-HD screen and a ton of customizable settings and overclocking utilities, thanks to the ROG Gaming Center app. Positive: Beautiful design; nice screen; comfortable keyboard; a rich set of ports; powerful hardware; high performance; silent and good cooling system. Negative: Relatively thick and heavy; mediocre speakers; short battery life; high price. Asus has just celebrated the 10th anniversary of the Republic Of Gamers (ROG) brand last year (2016) as reported on page HotHardware. 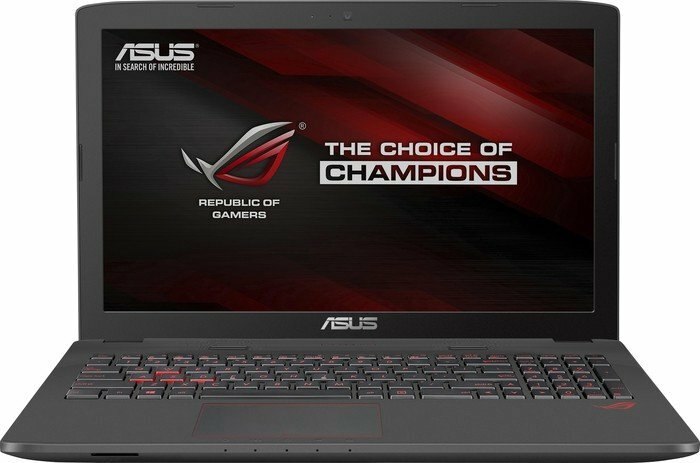 According to this page, they supposed that the manufacturer, Asus, launched its ROG line in 2006 and developed a wide range of gaming products of under the brand, including some monstrous gaming notebooks. Developed from the predecessor G752VY, which gets fourth ranking in the NotebookCheck’s Top 10 gaming laptops, the ROG G752VS improved the most highlight product with the most significant upgrade to the newest Pascal architecture GPU, the NVIDIA GTX 1070. Even though its design is still similar to our familiar ROG’s design, the Asus ROG G752VS sports some new specifications and more powerful performance in order to reach the higher objective for gamer users. Do you feel excited? We will help you to point out several special specs of this model. 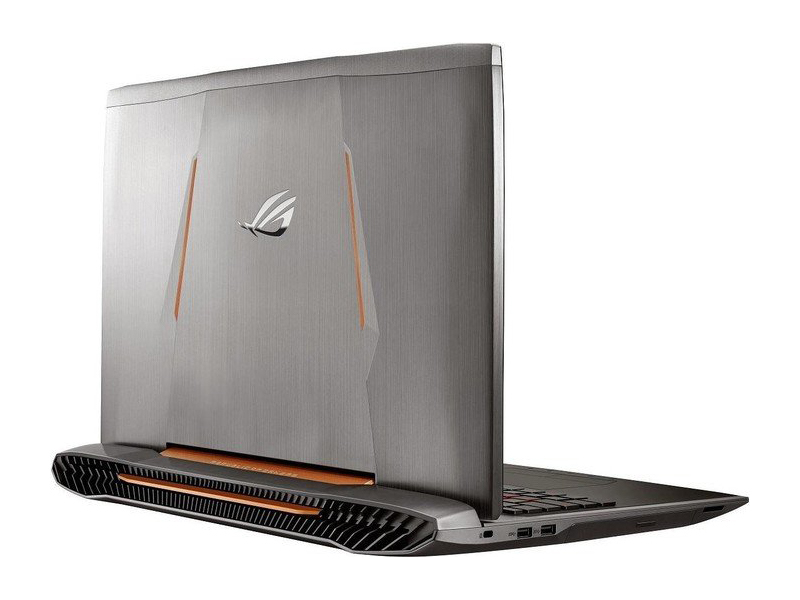 First of all, “Clad in gunmetal gray and copper, the ROG G752VS OC sets itself apart from all the red-and-black gaming laptops we’ve seen from Acer, Lenovo and MSI”, commented page LaptopMag. And the laptop, regarding page HotHardware, has so many angles and colored accents that it actually gives off a bit of a Transformers vibe, which is perfect for a gaming machine. 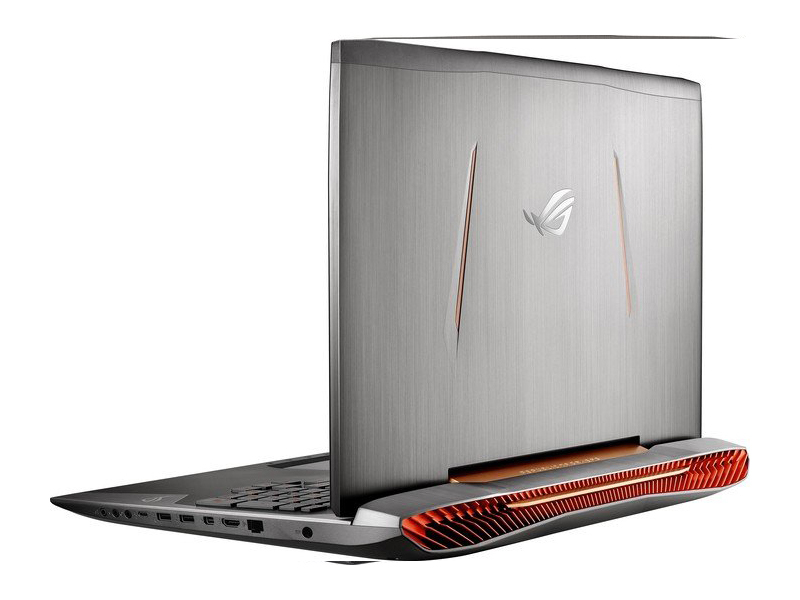 Also, as a remark on page NotebookCheck, a ROG logo and two red accents, which can optionally be emphasized by the integrated light, adorn the stable aluminum lid: “Base unit and lid do not twist and we did not find anything to complain about in the pressure test, either”. 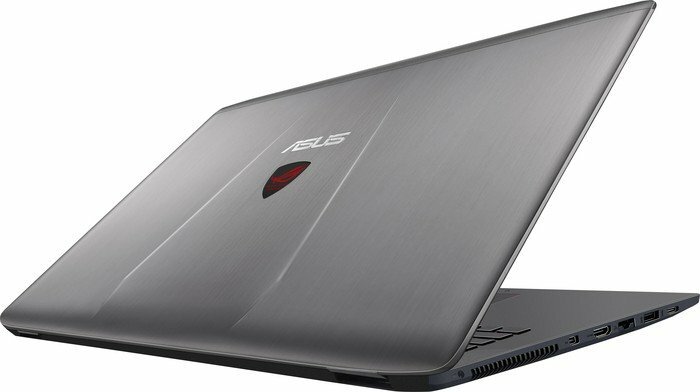 For page TechSpot, Asus has tried to hide most of the ROG G752VS thickness through aggressive angles, particularly on the base, which works to a certain extent: The laptop does not look like a 53mm-thick brick from all sides. 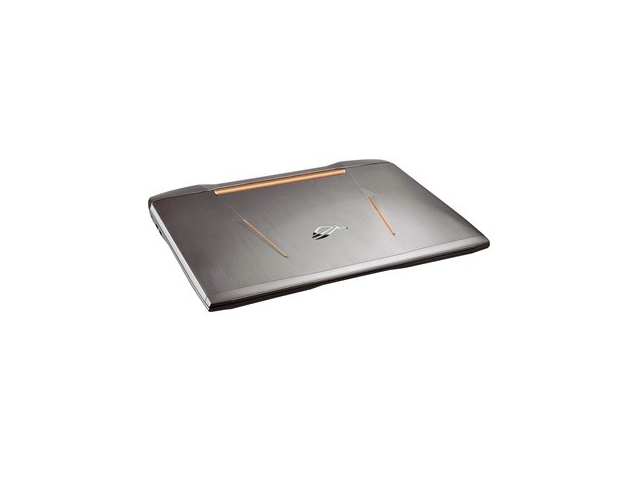 However, this page also added that when placed near an ultraportable laptop or even a smaller gaming notebook, the size of the G752VS was immediately apparent. 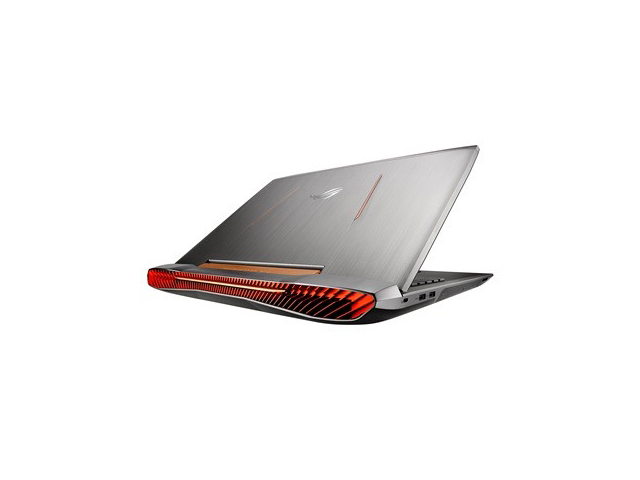 Besides, LaptopMag’s reviewer wrote in his review that the back of the G752VS OC featured his favourite design choice on the whole system - glowing red lights that shine through copper and red venting: “While some may think these lights are a bit silly, they remind me a bit of Lamborghini Reventon”. In the same point of view, “The majority of this laptop’s body has been constructed from plastic of various types, colors and finishes, with some metal thrown into the mix. The largest metal panel is the laptop’s lid, which looks respectable and gives good protection to the display”, said TechSpot. “Although the ROG G752VS’s display has an ordinary 1920 x 1080 resolution, it’s a beauty. If you’ve been using a smaller laptop, the 17.3 inch panel feels absolutely spacious, and the display is more than bright enough for a great video streaming experience” (page HotHardware). LaptopMag evaluated that the 17.3 inch Full HD G-Sync display on the ROG looked so sharp that sometimes it seemed like it had a higher resolution that it actually did. Following a comment on page TechSpot, the model that the writer received to review was the 1080p 75Hz variant, which is a good mix between affordability and performance: “The GTX 1070 should actually be powerful enough to run games at 4K, however you’ll get significantly higher frame rates running at 1080p”. Furthermore, the reviewer of HotHardware left a positive evaluation that the bezel surrounding the display was fairly wide, but Asus had kept it free of clutter, so it faded into the background when you were watching video. 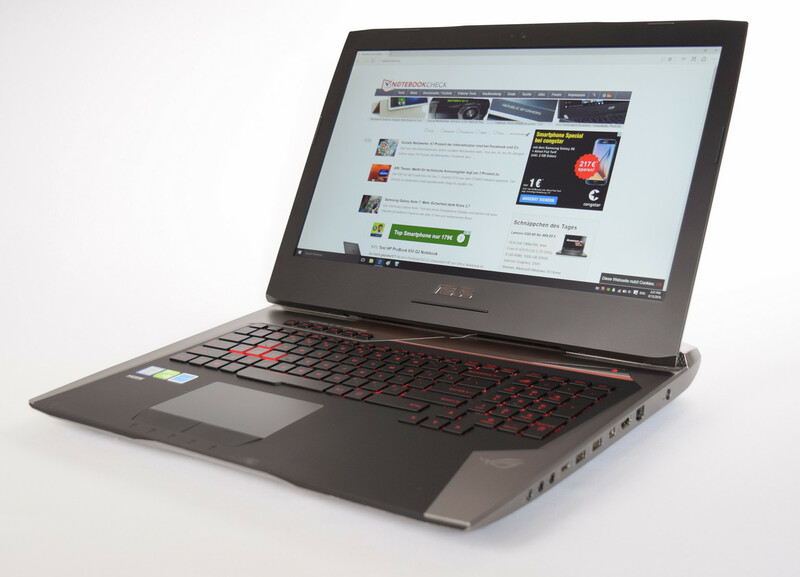 Recorded by LaptopMag, “At 326 nits, the G752VS OC’s screen is a tier brighter than other VR-ready gaming laptops. Its closest competitors are the Acer Predator 17 X and MSI GT72 Dragon Edition, which both sported brightness of 288 nits, while the Origin Eon 17 SLX was further behind at 275 nits”. About the keyboard, the page HotHardware reviewed that gamers were notoriously picky about their keyboards, but this page thought that most would like the ROG G752’s layout since the full-sized keyboard features large, responsive keys and a row of macro buttons that gamers can customize with included software. 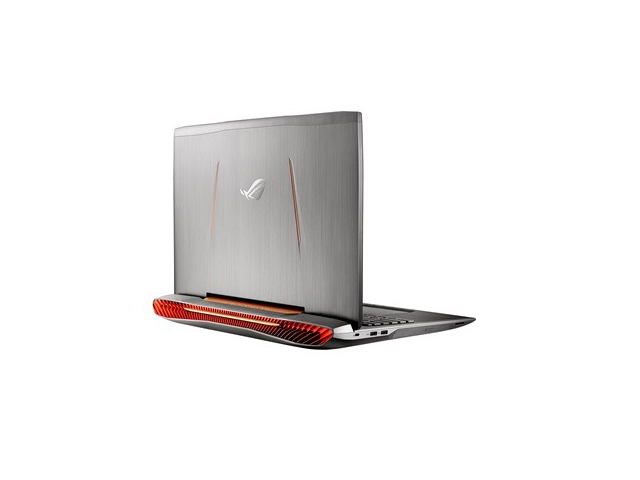 Nevertheless, “The one thing I’m missing is the RGB backlighting that you get on other premium gaming laptops, because on this ROG, all you get is red”, stated LaptopMag. Similarly, NotebookCheck left a remark that a glance at G752VS’s keyboard did not show changes: “The layout is identical to the predecessor’s. The keys are sufficiently big and there is a gap of 3mm between them. The key travel is just under 2.5mm. The surface of the keys is matter and makes for a high-end experience”. Also, as commented on TechSpot, there’s a good amount of travel in each key, however the rubber dome keycaps aren’t as clicky as I’d like from a gaming laptop keyboard, and there’s a small amount of flex in the keyboard assembly. “The touchpad is also positioned slightly left.”, said HotHardware, “The result is that when we typed, we found ourselves sitting closer to the left side of the laptop to keep our wrist straight”. In addition, LaptopMag showed their mind that the 4.7x2.6 inch (11,94 x 6,6 cm) touchpad sports an appealing trapezoidal shape with a smooth matte surface and accurate gesture recognition. The reviewer from this page also complained: “Below that, the mouse buttons feature separate discrete buttons, but because they felt a little loose, clicks were never as smooth or as crisp as I would have liked”. Powered by an i7-6820HK CPU, which is a four core, eight thread Skylake part built on a 14nm process and featuring a 45W TDP, Intel has given this CPU a base frequency of 2.7GHz with a 3.6GHz single-core boost clock, although Asus has factory overclocked this processor to 3.8GHz (TechSpot’s quote). According to LaptopMag, with a base 32 GB of RAM and an overclockable i7-6820HK CPU, there’s effectively no limit to the number of browser tabs we can have opened. Specifically, in multitasking situations, for example, playing a game while downloading another in the background wasn’t even a challenge. “Base on Epic’s Unreal Engine 3, BioShock Infinite takes you to the mysterious, flying city of Columbia. The ROG G752 blew past all of the systems in our comparison pool, producing an average frame rate of nearly 145 fps” (HotHardware). As expected, TechSpot remarked the GTX 1070 absolutely dominated the GTX 980M, which was the fastest mobile GPU the reviewer had tested: In the most demanding test they used, Fire Strike, the GTX 1070 was a staggering 77% faster. Like that reviewer said earlier, he expected to see around 30% better performance than the GTX 980 as well. As the result of the performance test on page LaptopMag, in Rainbow Six: Siege at 1920 x 1080 and very high settings, the G752VS OC pumped out 187 frames per second, so “That’s nearly 50 fps ahead of its next closest competitor, the Predator 17 X, which reached 129 fps”. 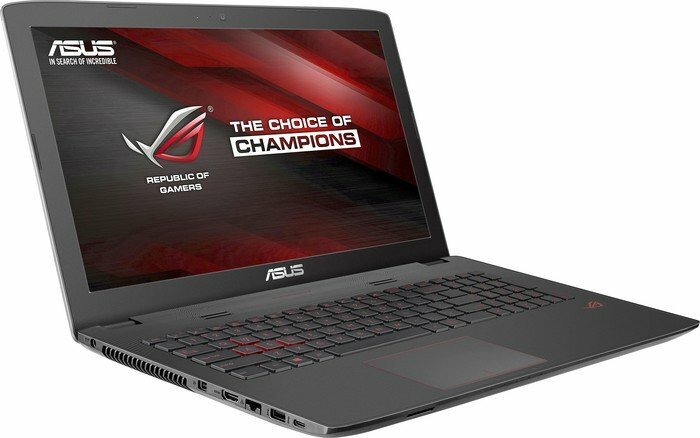 Lastly, like a review of page TechForPennies, there is no doubt that the Asus ROG G752VS is excellent at gaming because it has a desktop-level gaming card, the GeForce GTX 1070 speeding up the games you throw at it: “You can use ultra-settings with all eye candy on and expect 60+ fps on heavy games such as The Witcher 3 and 90+ on types like GTA5, Battlefield 4 and Doom”. 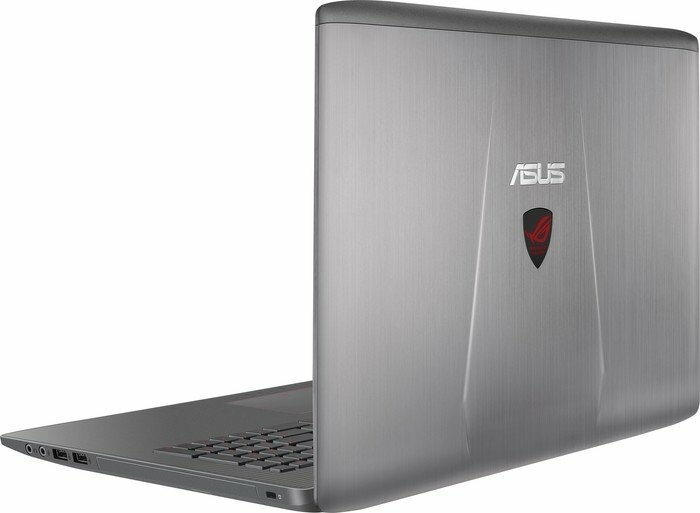 Equipped with Asus own Sonic Studio speakers, LaptopMag showed their perspective that the G752VS had pumped out decent, but unimpressive audio: “The Asus’s bass was often a little lacking, as was overall volume, which made listening to anything from Ratatat to REO Speedwagon less than exciting”. Moreover, as commented on page NotebookCheck, the two stereo speakers are behind the display on the rear side of the notebook. And due to the case size, bigger speakers could be incorporated. A separate subwoofer, which makes for decent bass, sits on the underside of the G752VS. 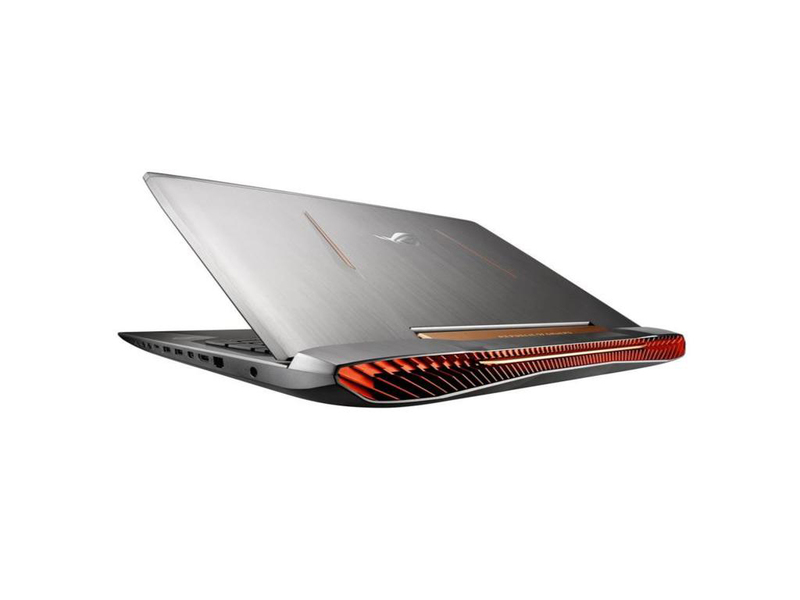 By contrast, a complaint on page HotHardware about the ROG G752VS’ sound is: “One feature that disappointed us is the laptop’s audio, which didn’t produce the fullness-of-sound we expected from a large laptop”. They also added they should be clear that the audio wasn’t poor - it’s not tinny or hard to hear, but they could not describe the sound rich, either. Talking about the heating, “During everyday use, the G752VS OC’s thermals were well in check. On the LaptopMag heat test (15 minutes of streaming HD video), the hottest spot on the laptop was the plastic paneling on its bottom that measured 94.5 Fahrenheit degrees (34.72 C)” (quoted from LaptopMag). For HotHardware, as for noise, the ROG G752VS got a little noisy when they played games. The fan noise didn’t distract them, but if we are looking for a silent laptop, this isn’t the one for us. Even so, the fan noise will likely be a non-issue for most gamers. With a time of 3 hours and 42 minutes in LaptopMag's battery test (continuous web surfing over Wi-Fi), the G752VS OC’s longevity isn’t good, but it’s not worse than other high-powered gaming laptops, like MSI GT72 (3:31), the Origin Eon 17 SLX (2:54) and the Acer Predator (3:13). With the same viewpoint, HotHardware have finally found a chink in the ROG G752’s armor: “The laptop burned through its battery fairly quickly and didn’t impress our video loop test, either”. They also advised not to plan on long gaming sessions away from a power outlet. 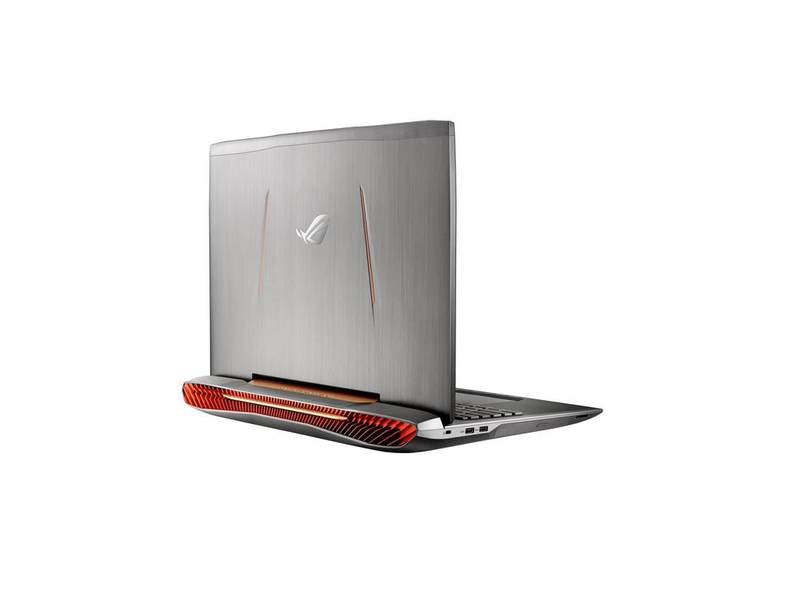 The $2,499 Asus also sports a sleek and refreshing gunmetal and copper design, a bright, 17.3-inch full-HD screen and a ton of customizable settings and overclocking utilities, thanks to the ROG Gaming Center app. As new gaming laptops with 1070 GPUs come out this fall, the G752VS OC has set a higher bar for what other laptop makers will have to beat. 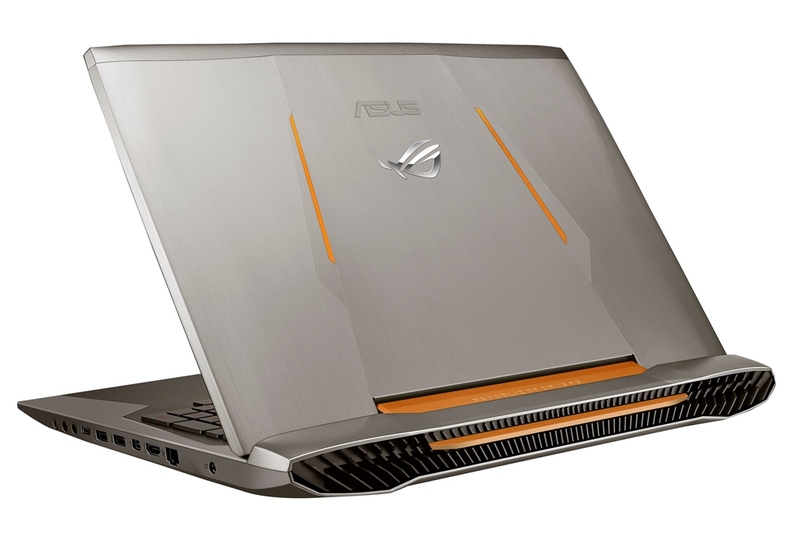 The ASUS ROG G752VS certainly is an impressive notebook. With the new Pascal GPUs from NVIDIA, gaming notebooks can finally claim to have the equivalent performance to desktops, though obviously you’ll still be paying a premium for the privilage of enjoying “mobile” gaming. In this case, you’re looking at a steep price tag of Php 189,995. At that price you can probably build your own gaming PC with a bit of cash left over, but then again it’s not the same thing as being the proud owner of an ROG-branded machine. The G752VS is certainly impressive. It offers almost double the a level of gaming performance over previously available single-GPU notebooks, which is insane. It’s not a one-trick pony, either — both its quad-core CPU, DDR4 memory, and PCIe SSD are top-shelf all the way. The ASUS ROG G752VS is definitely a powerfyl gaming laptop packed with a generous display, beefy specs, and a premium body with a cool design that just screams gaming. Performance-wise, it can run some of the most demanding games at above 30fps at UHD resolution and 60fps at an easy Full HD. The G752VS is certainly impressive. It offers almost double the a level of gaming performance over previously available single-GPU notebooks, which is insane. It’s not a one-trick pony, either—both its quad-core CPU, DDR4 memory, and PCIe SSD are top-shelf all the way. This notebook is a desktop replacement, with the same amount of performance. And it’s priced quite fairly, even though $2,500 might seem exorbitant to people not used to gaming laptops. All of the fully loaded GTX 1070 notebooks we found online fell between $2,200 and $2,600, and almost all of them had the exact same specs. 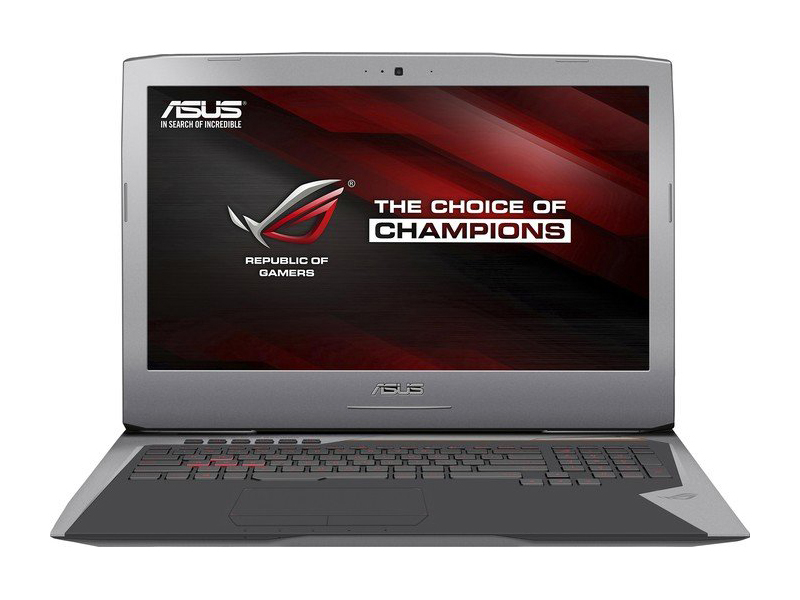 As far as big gaming notebooks go, the Asus RoG G752 OC Edition is something of a classic. It’s big in every way, from its expansive G-Sync display to its stellar performance. Its 1.5-inch thick, 8.9-pound chassis isn’t something you’ll want to transport often. But if you do, it had enough battery life in our testing to keep it going for at least four hours if you choose to use it off a power plug for ordinary tasks. Positive: Solid workmanship for gamers; impressive design; high performance. Negative: Relatively thick and heavy; high price. 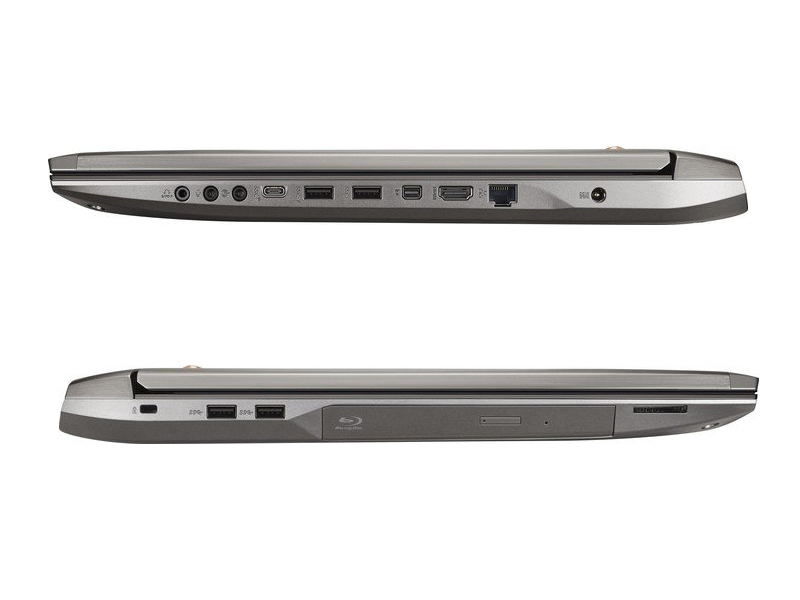 Positive: Attractive design; comfortable keyboard; rich set of ports. Negative: Low performance; mediocre speakers. Positive: Powerful hardware; high gaming performance; large screen; excellent display. Positive: Great built quality; excellent design; good cooling system. Negative: Short battery life; relatively thick and heavy. Positive: Fast 3D graphics. Negative: Large; heavy. Overall impressed with the performance. The back-lit keyboard was also comfortable to use. This is another very good gaming laptop that you can consider. But like other gaming laptops this one too comes for a price, somewhere up to 2,47,990 depending on configuration (screen with 4K resolution is also available). 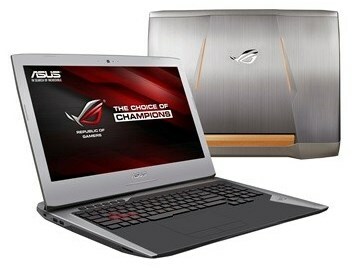 Asus has paired this machine’s mid-range price with solid performance in most key departments. The GTX 1060 runs games smoothly on the high-quality screen, and the rest of the components are rapid. Other machines might be lighter or faster, but this 17.3-inch brute is an excellent mainstream option. The Asus ROG G752VM is a terrific gaming laptop for those who want top performance in a form designed to handle that power with ease. It doesn't get overly hot or loud, even under a good amount of pressure, making us confident that even the step-up model with the Nvidia GTX 1070 GPU will also be a joy to use. 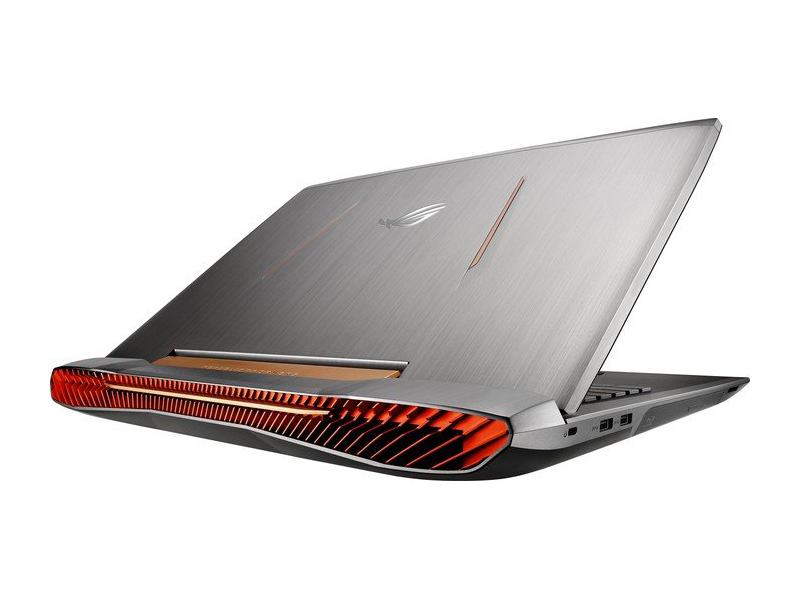 As the prices of top-end style laptops like the MacBook Pro and HP Spectre 13 increase, the Asus ROG G752VM starts to look like an even better buy than last year's models. And, as hoped, the latest 10-series Nvidia graphics cards blow away what came before. Despite being two rungs lower, gaming performance is not all that far off the former top dog GTX 980M, and similar to that of the desktop-grade GTX 970. In other words, it's perfect for 1080p gaming. There are just a few issues. A textured glass (rather than plastic) trackpad would have been appreciated and we'd like to see Asus put a little more work into the sound quality of the speakers, rather than just trying to make them as loud as possible. Positive: High gaming performance; powerful hardware; large screen; excellent display. Negative: Relatively thick and heavy; high price. Positive: Great built quality; excellent display; good cooling system. Negative: Noisy under loads. Positive: High gaming performance; stylish design; comfortable keyboard; excellent display; good speakers. Positive: High gaming performance; excellent display; powerful hardware; large screen. Negative: Heavy and bulky; high price. 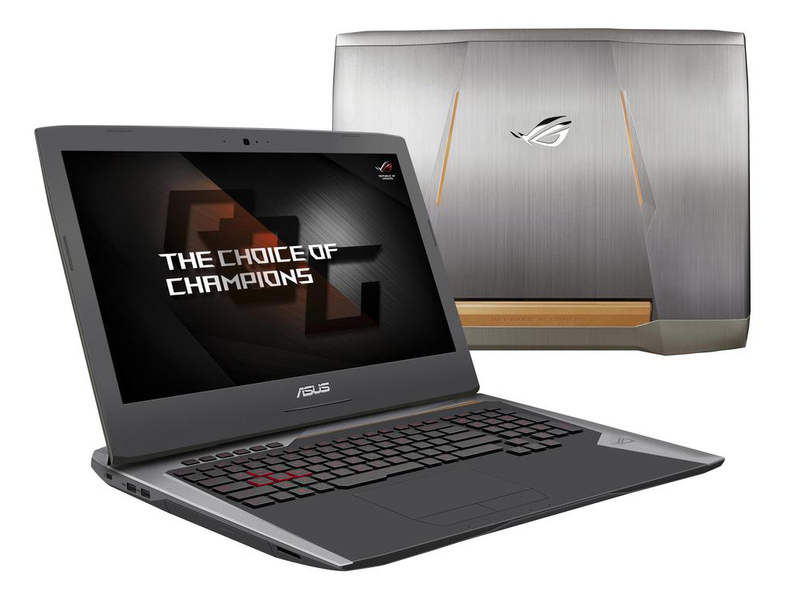 The Asus ROG G752 VS is a high end gaming laptop that can play any type of high-end game you want. Its future ready for VR connectivity and has all the latest specifications to fulfil all your PC needs for the next 3-4 years in current scenarios. The performance of the machine never disappoints, display is bright and lively and the keyboard is also very impressive. However, it’s very heavy and carrying it around with you would not be a good idea, also the battery life is not very impressive on the laptop. Positive: Large screen; high gaming performance; excellent display; powerful hardware; backlit keys. NVIDIA GeForce GTX 965M: Lower high-end graphics card based on the Maxwell chip GM204 and GM206 (newer 2016 version with higher clock rates). Part of the GeForce GTX 900M series.These graphics cards are able to play the latest and most demanding games in high resolutions and full detail settings with enabled Anti-Aliasing. NVIDIA GeForce GTX 1070 (Laptop): Pascal based high-end mobile graphics card based on a cut down GP104 (like the GTX 1080) and GDDR5 graphics memory. Successor to the GTX 980M with a 10 Watts higher TDP. Similar to the desktop GTX 1070 performance wise, but with more shaders and lower clock speeds.NVIDIA GeForce GTX 1060 (Laptop): The mobile GTX 1060 is based on the GP106 chip and offer 1280 shaders. Compared to the identically named desktop version it features a slightly lower clock rate. Games in Full HD and maximum details should run fluently on the card.Modern games should be playable with these graphics cards at low settings and resolutions. Casual gamers may be happy with these cards. Intel HD Graphics 530: Integrated GPU (GT2) with 24 EUs found on some Skylake CPU models (mobile and desktop).» Further information can be found in our Comparison of Mobile Graphics Cards and the corresponding Benchmark List. 6700HQ: Skylake-based quad-core processor for notebooks. Offers an integrated HD Graphics 530 GPU and is manufactured in 14 nm.6820HK: Skylake-based quad-core processor for notebooks. Offers an integrated HD Graphics 530 GPU and is manufactured in 14 nm.7700HQ: Quad-core notebook processor based on the Kaby Lake architecture. Besides four CPU cores (including Hyper Threading), the chips also integrates the HD Graphics 630 GPU and is manufactured in an improved 14 nm process.7820HK: Quad-core notebook processor based on the Kaby Lake architecture running at 2.9 - 3.9 GHz. It is the second fastest model of the consumer H-series in the beginning of 2017. The chip also integrates the HD Graphics 630 GPU clocked at 350 - 1100 MHz and is manufactured in a 14 nm process (improved compared to Skylake). Compared to the Core i7-7820HQ, the 7820HK lacks business features like vPro or TXT support. 81.54%: This rating should be considered to be average. This is because the proportion of notebooks which have a higher rating is approximately equal to the proportion which have a lower rating.» Further information can be found in our Notebook Purchase Guide.